The stone used for this sculpture is relatively soft, so the artist could carve it almost as easily as wood. The figure was placed outside to demarcate the land of a clan, embellish the grave of a chief, and celebrate the legacy of the past. 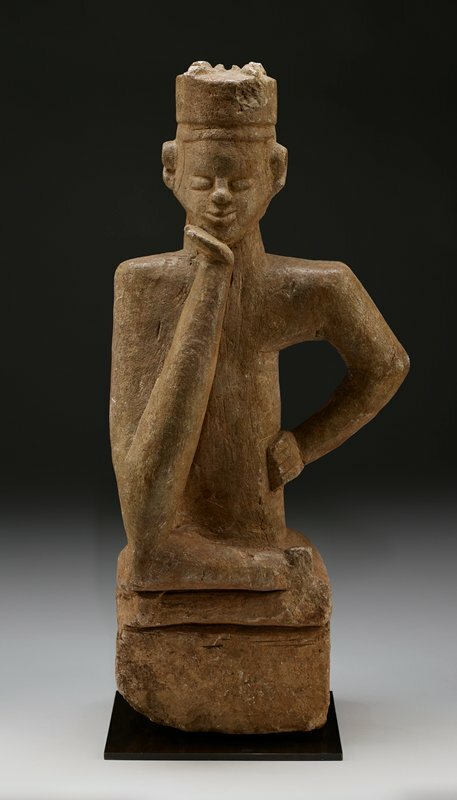 It represents a chief, recognizable by his hat, which once displayed four leopard claws (now missing), and his pensive pose—known as fumani, or “thinker of sad things”—which symbolizes wisdom, thoughtfulness, and authority.